A very useful accompaniment to DocuPraxis is The Report Writer's Handbook from Panarc Publishing. There are four simple processes which can help anyone to produce coherent, succinct, persuasive reports. These are Grouping, Ordering, Linking and Structuring. All four techniques are simple, easily learned and readily applied to any report-writing project. If you apply these techniques, you will communicate to your readers that you are the master of your material. It will be evident to them that you are applying a powerful intelligence to your subject. Your readers will see that all elements of the report are precisely arranged and perfectly expressed. They will be carried along on your train of thought to your intended destination. 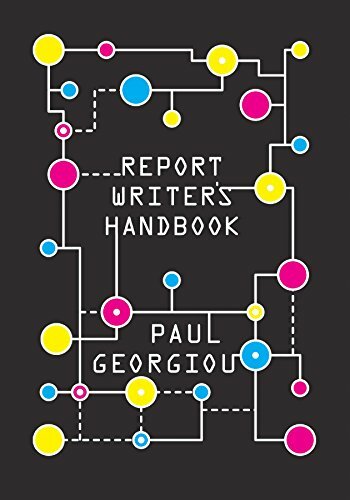 The Report Writer's Handbook also covers many other aspects of writing to help the reader avoid pitfalls and make the most of their report-writing opportunities. Paul Georgiou, the author of this book, has spent most of his working life (after five years at New College, Oxford) running his own company, Panarc International, and preparing reports for government departments and commercial companies, both large and small.